So, we can finally put this story to rest….Your Old Droog is a white dude from Brooklyn, like he said from the beginning, and Nas apparently has nothing to do with him. He used the ominous gossip contrived by the media to push his career ahead a few steps; and rightfully so. 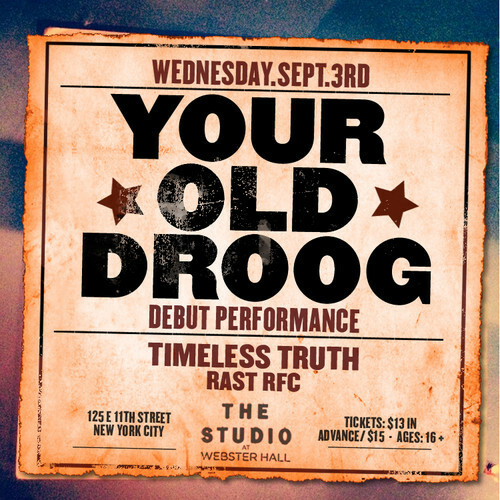 While Droog obviously digs being compared to Nas, he explained at his show last night that, his slang is just a Brooklyn thing and that’s how they talk. While I don’t believe that Brooklyn cats are still talking about Pelle Pelle, I’ll give him a pass because he’s so cold. Check out the footage below from his first show last night at Webster Hall in NY. This is his entrance. People really thought Nas might walk out. To be honest, I’m glad it’s not Nas. I’ve read a lot of comments on various sites and people are almost physically angry that it isn’t him. Who cares? We’re getting what we’ve (golden agers) been wanting from a lot of old school artists, like Nas anyway; that good old grimey, 90’s lyricism. I’m going to keep listening. Haters gone hate.